The Emperor Paul Romanov is almost certainly not the son of the Peter Romanov, but of one of Catherine the Great’s lovers. However I have never seen his surname constantly put in quotation marks, nor that of any of his own descendants. The fact that Owen Tudor may not have been the father of Edmund Tudor is no-where nearly as certain. However, the persistence of some people to constantly refer to him and his descendants as ‘Tudor’ is both irritating and rather silly. The dynasty descended from Edmund Tudor and Margaret Beaufort are known to history as Tudors, not ‘Tudors’ so can we please use the commonly accepted way of referring to them. Or would we, perhaps, like supporters of the Blayborne theory of Edward IV’s birth to constantly refer to Edward as Edward of ‘York’ or Edward ‘Plantagenet’? History books need to reflect either what really happened or what is more likely to have happened, not merely the propaganda of the survivors. Were the “standard version” to begin with a blank slate, it would describe the 1485-1603 dynasty as Beauforts or even Swynfords. Until Hume in mid-C18, they were not recognised as a separate dynasty at all. 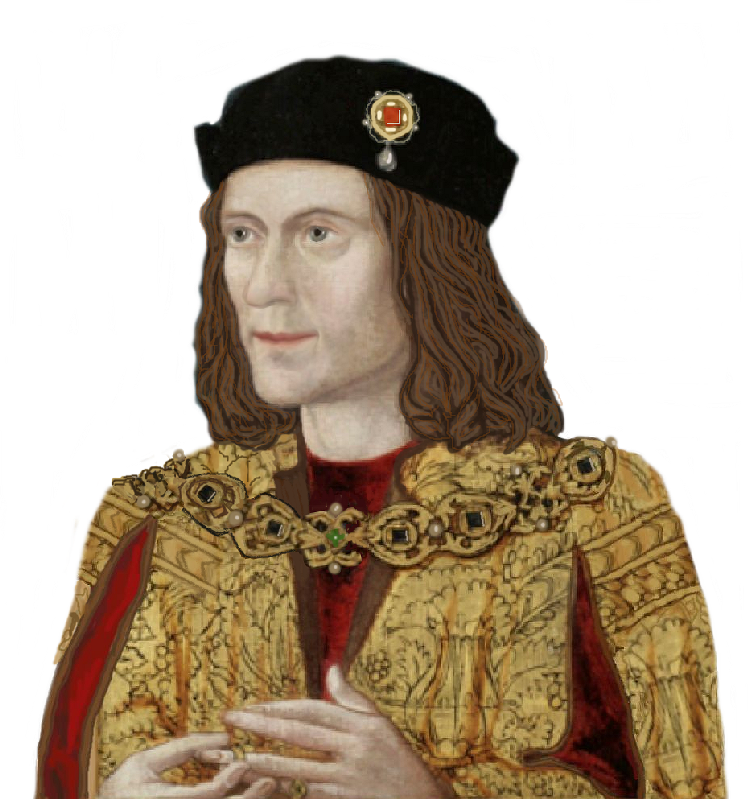 An alternative paternity of Edward IV is most unlikely as his mother may have accompanied his father at times and the “window” of conception is quite wide anyway. I agree it is unlikely that Blayborne was the father of Edward IV. However many people subscribe to that theory, helped by the Tony Robinson programme. I have even seen it used on a Yorkist RIII site as a reason for dispossesing Elizabeth II because she has not intervened in the debate as to where Richard III is to be reburied. So, on the basis that this is a widely held theory, you would be happy to see every reference to Edward IV and his children as Edward of ‘York’ or ‘Plantagenet’ then? Even if Edward IV were illegitimate, he still won the throne by conquest and so became king. Just as Henry “Tudor’s” French troops won the throne for him, since he was unable to fight (likely because of his wonky eye condition), and so he became king. And so were medieval kings made. But I’d like to point out that the former’s reign was welcome. The latter’s…not so much. If Katherine was holding out to marry her lover Edmund Beaufort, and didn’t know until it was too late that she just couldn’t have him, what a predicament she would have been in. Pregnant and no husband. A truly shocking scandal in the royal family. There was going to be a scandal anyway, but if Katherine was deeply in love with Beaufort, she would want to protect him at all costs, even at her own expense. Therefore a lesser scandal that saved Edmund’s bacon was surely for her to ‘fall hopelessly in love’ with the handsome (we’re told) Welsh servant, Owen Tudor. If there was an actual marriage, we have no proof, or maybe they just said they were. I don’t know, but I do wonder if this was what happened. And while I know that the child when born, Henry VII’s father, Edmund, was supposedly named after Edmund Beaufort, can there be any significance in the name Jasper, which was chosen for Edmund’s younger brother? It’s such an unusual name for the period. Given that in the medieval period a valid marriage consisted of an exchange of promises and consummation, it is extremely likely that Katherine and Owen were married in the eyes of the church, if not in the eyes of the law of England relating to the remarriage of Queens Dowager. 1) There is no evidence that they ever did exchange promises or consummate. 2) Any such marriage would have breached the legislation referred to above, specifically passed to prevent Kings from suddenly gaining stepfathers, making it illegal and invalid. 3) If it had been otherwise legal, it may well have been pre-empted by a similar consummated exchange involving the Duke of Somerset. A bigamous contract is automatically invalid, of course. So, either way, it is most improbable. It just became convenient to portray Henry VI’s half-brothers as legitimate. Are you saying, then, in your point one that the other children are not Owen’s either? I was talking about church law, not the legislation about the remarriage of Queens Dowager, as I made clear in my post, so your point two is irrelevant to my argument. There is equally no evidence that a valid marriage was in existence between Katherine and Beaufort. The only fact that we have is that Beaufort did not marry until after her death. That may reflect his view that he was married already. Equally it could have been a romantic reaction along the lines of the Courts of Love which were fashionable in the early medieval period. You may regard it as improbable, but it is not impossible that Owen and Katherine made a valid marriage according to existing church law of the time. The ‘evidence’ for an association between Beaufort and Katherine seems to rest on the arms granted to the Tudor brothers. There may have been other reasons for the design of the arms, unrelated to a putative descent from Beaufort, especially if the circle around Henry VI, who by this time must have been seen as a potentially weak king, wished to bolster him by bringing his half-brothers into the English royal family. To the first question: probably, yes I am. Websites credit Catherine and Owain with between three and six children but were constructed from the bathing fairy tale. Owain may well have had a child by a different mother. There are claims that one, another Owain, became a monk but some claim him to be the eldest. We are dealing with something of a mess there. The eldest son would be of far more use fighting for the Lancastrian cause than in a monastery. Towards the Beaufort connection, the other evidence includes the eldest proven child being named Edmund and the abandonment of Owain’s remains at Hereford. This suggests that Henry VIII knew or strongly suspected that Owain was not his ancestor but that Edmund “Tudor” was. The ODNB even mentions contemporary rumours. There is a reasonable amount of evidence for this hypothesis and none but the convenient fairy tale against it. Fairy tales indeed, Stephen. Right on point. It brings to mind the fact that even among the writers of the time, not a one suggested that Henry himself killed Richard or even took part in the fighting. So if anyone should have the misfortune to come across the very ill mannered Karen Clark on another page with her oft repeated claim that “it was generally accepted by everyone that Richard had killed the princes”; one might indicate there is doubtful evidence of that but there is strong evidence to suggest that the people of the time all knew Tudor was weak. If Tudor’s men could have sold the story that he was a brave fighter, they would have. But that was too outlandish a claim. It is much more likely the people of the time all knew Tudor was weak and simply lucky that his arse wasn’t captured and his awful head not struck from his body. Surely naming a child Edmund does not prove Edmund Beaufort was the father. Cecily Neville had a child named Edmund, after all. And, give a queen a break! Lets not claim that contemporary salacious gossip is truth (particularly when none of us wishes to claim the same when the rumors concern Richard III). Here’s a scenario – Edmund and Catherine are friendly, rumors start. Catherine and Owen form a relationship; they know this is dangerous territory and would like Edmund as a friendly voice. So they name their son for him. It is also both an evocative name and a safely unambitious one in that the name has been used previously in the royal family, but not for the first-born. As far as Henry VII’s behavior, he was very much an opportunist. Publicizing his father, who was half-brother to the last Lancastrian king by the widow of the great Lancastrian hero, herself a queen of England and princess of France, was useful. Gave him “heft.” Publicizing his grandfather would get him nothing except a lot of questions. So there are five pieces of evidence that Owen Tudor is UNLIKELY to be Henry VII’s grandfather: the contemporary rumours, the heraldry, Somerset not marrying until Catherine de Valois had died, her second son being named Edmund and Henry VIII’s failure to retrieve Owen’s remains from Hereford at the Reformation although it would have been easier than re-interring Edmund from Carmarthen. On the other hand there are none suggesting that he was, save the later propaganda that seeks to exploit the Welsh prophecies. It is, therefore, illogical to claim that Catherine was romantically involved with a servant rather than a Duke. The only “break” she requires is for the probable truth to be recognised. This is not evidence, it is a series of assumptions made by second-guessing people’s motivations. Beaufort remained unmarried as long he did because he had not yet found a suitable bride /wealthy heiress. Catherine liked the name Edmund and decided to name one of her sons thus. Henry VIII ‘knew’ Edmund Tudor through the stories his grandmother told him and therefore felt a personal connection with him. However Owen was too far back in his family tree for him to feel the same connection. They are as unprovable as yours and I certainly do not claim them as evidence. Evidence does not merely consist of what you believe, it consists of facts. I quoted five facts and can add a sixth: that the phrase “Tudor dynasty” is unknown to English history before Hume in c.1750. The fairy tale you are trying to bolster has no facts behind it. For anyone unsure of the meaning of “in denial”, you are a very good illustration. Henry VIII failing to remove Owen Tudor’s remains does not really allude to anything. His own brother’s chantry was badly damaged during the Dissolution and Edward VI’s reign, they only found the location of Arthur’s grave in 2002. His York great-grandparents tomb was damaged as well – and he was intensely proud of his York heritage. Considering Henry VIII led the propaganda against his own father, murdered two wives and threatened to kill his own daughter you could surmise he was not sentimental about family. The only thing I am in denial about is your attempt to mold facts to fit your hypothesis and then use it to ‘prove’ that Beaufort was the father of all of Catherine’s children and that Owen Tudor was not married to Catherine when there is no evidence, only inferred assumptions. This can be done with any historical event, for example: Fact: The sons of Edward IV were excluded from the succession. Fact: Both boys were sent, by Richard III, to live in the Tower; Fact: they were never seen again. These three facts have been used by traditionalists for centuries to ‘prove’ that Richard had them murdered. I don’t believe that – does that make me ‘in denial’ about that too? Another thought. Katherine de Valois, as queen consort, bore a form of the English royal arms. Could it have been this that was used as a basis for the arms of the Tudor brothers?